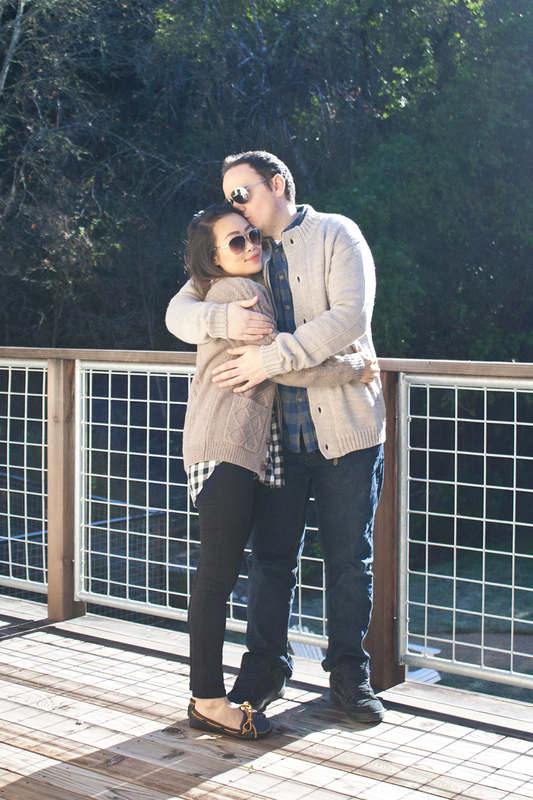 Believe it or not, I have never been into matching couple outfits, but my fiancé and I wear so many flannels during winter that we end up looking quite matchy matchy sometimes. So, I thought it would be fun to show you what we wore when we travelled up to the wine country last week. Flannels, of course. Denim, for sure. Sweaters, to stay cozy! I am wearing a pure lambswool cable knit v-neck cardigan and he is wearing a 100% pure wool zip & button chunky cardigan, both by Woolovers. These photos were shot at our room and private patio at Farmhouse Inn, one of my favorite luxury staycation spot! Stay tuned for another travel post coming soon! 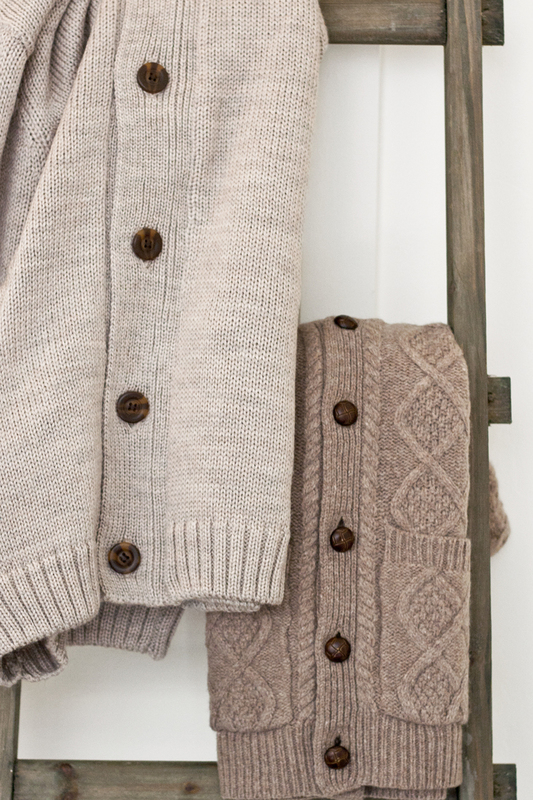 Lambswool cable knit v-neck cardigan c/o Woolovers. 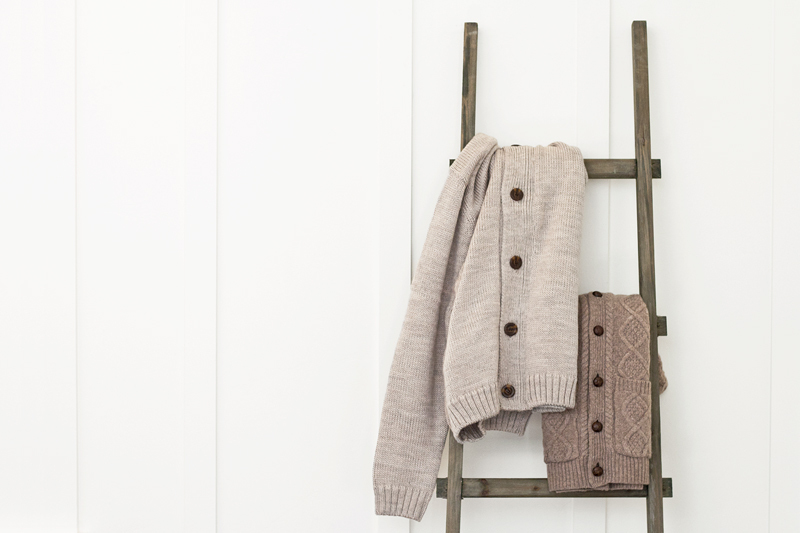 Wool zip and button chunky cardigan c/o Woolovers. Flannel oversized boyshirt in buffalo check c/o Madewell. Boat leather moccasins c/o Minnetonka. Weekender tweed watch in gold c/o Timex. Weekend tweed watch in silver c/o Timex. Nice cardigans, lately I don't find 100% wool cardigans or sweaters for a reasonable price, it's really difficult!